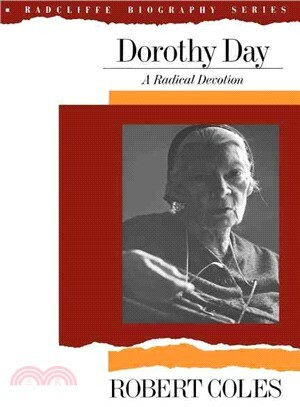 Robert Coles first met Dorothy Day over thirty-five years ago when, as a medical student, he worked in one of her Catholic Worker soup kitchens. He remained close to this inspiring and controversial woman until her death in 1980. His book, an intellectual and psychological portrait, confronts candidly the central puzzles of her life: the sophisticated Greenwich Village novelist and reporter who converted to Catholicism; the single mother who raised her child in a most unorthodox ”family”; her struggles with sexuality, loneliness, and pride; her devout religious conservatism coupled with radical politics. This intense portrait is based on many years of conversation and correspondence, as well as tape-recorded interviews.